I’m sorry – Please excuse the smoke. It’s just the dreams and hopes of 27 thousand yesterdays. And those family portraits of the past 40 years. It’s just the piano from my grandmother who passed away that my brother just brought back from Iowa. Excuse the hazardous air quality. It’s just the thousands of saved kid’s drawings and crafts, books, children’s toys from years gone by that had been unpacked for grandchildren, wedding certificates, diaries, the favorite pillows, that favorite teddy bear from baby years, the 1960s records and the VHS tapes of birthday parties and graduations. It’s just the houses of my childhood friends where we would play in the late summer evenings and spend nights dreaming of what our grownup years would bring. Not knowing that our futures would all hold this moment in time as our collective yesterdays ascend to the sky. Please excuse the falling ash. It’s just the church where I grew up attending with all the children’s songs, VBS programs and the baptismal where I chose to dedicate my life to God. It’s just the aisle where I stood and looked at the man on the day that I said “I Do”. The falling ash – It’s just Paradise. A little non-destination town that’s not on the way to anything important. It’s just that end-of-the-road town where people settle and know each other and roots run deep. It’s just a place where the biggest news was that Taco Bell came to town 20 years ago – until Starbucks finally made it 4 months ago. Paradise – it’s just the place where everyone is your neighbor, as backyards are shared and simple icons are known and loved. Icons that are now ashes falling around you (sorry about that). Honey Run Road Covered Bridge. That one antique store, just to name a few. Icons like Kalico Kitchen where my dad and I had breakfast on the day of my wedding, just the two of us. Icons like Darlene’s Frozen Yogurt and Round Table Pizza where many birthday parties growing up took place, not to mention the take home pizzas to mom and dad on weekends we would visit. Personal icons like the Lucas’s house where many days and nights were spent as we grew up from toddlers, to grade school, to junior high, taking care of animals, watching movies, going trick-r-treating, and discovering our first crushes together. Icons like the Muth house, where we made brownies and talked about boys and got ready for banquets and wrote songs, and led out in different high school student leadership opportunities. Icons like the youth room at the church where we discovered so many amazing things together and planned mission trips and prayer conferences and learned what it meant to be used by God right here and right now. Icons like Rankin Way house where we would watch different phases of our family’s life every year as we gathered for potlucks, game nights or just hear some good music. Or Country Club where huge gatherings would take place like the 4th of July party for the neighborhood, or just coming together for brunch, or talking about religion and politics. Or Peterson’s house where we would eat the most delicious Swedish treats and have a visit from Santa. Or all the houses around town that we lived in since age 2, (that are now all gone) and finally settling on what would become home: Boquest Blvd. Boquest, where breakfast was late, like nights, and eras of my life passed within those 4 walls – from preteen, to high school, and as the walls of my room changed their decor as they held my changing eras like a quiet, constant friend. The early mornings getting ready for school, the late nights studying or dreaming of tomorrows that are now todays. The Christmas eves and mornings where my brother would wake me up to go open our stockings. The night I spent in that room with my sister before the day of my wedding, our conversations waning into the early morning. The years and eras fleeting now in hindsight, as most recently these four walls had been a refuge for my aging parents. And not knowing that that one night would be my final farewell to my constant silent friend – my room – where I spent a few nights with my infant son as we cherished time with family. That last night, not knowing that we would be together for the last time…in Paradise. All of these things now ashes falling around you. But please, once again, excuse our smoke. I was sitting there today, in Whole Foods, eating my sandwich and watching the crowds. I felt you move against my abdomen wall as my sandwich became food for you and me. I’ve been sensing your wild nature from the beginning, even before I could feel you move. I am aware of your warrior-ness, your tenacity, your fight for survival and to become life in this world we inhabit and call home. And yet I worry. As I touch my belly and feel your beautiful life form growing, I know the world that you as a female will enter into. I am well-acquainted with the fingers that will try to choke out your individuality. I cringe at the misogynistic world that awaits to devour your humanity and unique feminine war-like strength. I shutter as I think of how religion will try to put its foot on your neck and gently scream of who you are as a woman and what you can and cannot be. I abhor the thought of anyone who would turn you into a mere object to lust over, and what if you feel you must succumb to their eyes and wants, and you trade in your wildness to become the object rather than the creation. I want to strip all magazine isles of the images that will shout out to you of what beauty is – so that you may find and discover the beauty that is already within you, and wear it fearlessly to the world. I know the well-meaning voices that will advise you and scold you and insult you for simply being you. I fear for the self-hatred that may try to creep into your soul, where you will try to bury your gifts and your beauty – that you would compare yourself with others and try to trade your uniqueness for theirs. I already feel angry at the bully who may attempt to squelch your fight, your joy, your you-ness. I haven’t met you, but I already know you are so much more than the shell of the body you will be born into. Your body, which I know will be beautiful, is not what defines you. As you are being knit inside me, your personality and character is there within you. You are wild. You are beautiful. You are undefinable. You are woman. You are warrior. You are more than fashion statements and mascara. You are more than the boys who will chase you, or reject you. You are beyond the opinions of mere people who will try to control you and morph you into their insecure status. You are here for such a time as this. 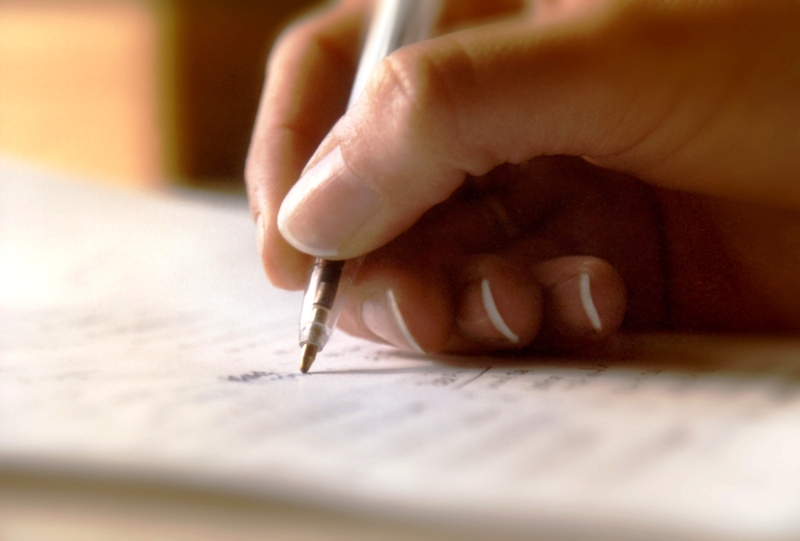 Never let yourself be whittled down to a grade, or how many likes you get on Facebook. Never let yourself become consumed with your waist-size or if you’re wearing the right clothing brand. Instead, find your strength in the old oak trees. Find your passion in the moving waters of river and sea. Find your joy in soaking in the sun, playing with caterpillars, or laying in the grass barefoot, staring at the never-ending sky. For you were created from beyond this substance we call our world. You came from the unknown mystery of Love – a place that cannot be defined, or boxed, or placed in a cage. So when others try to handcuff your soul, remember that it is impossible, unless you give them the keys to do it. And why would you? 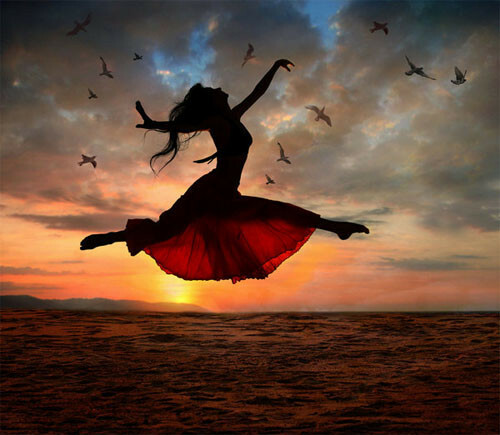 You are a warrior woman from beyond the farthest star in the universe! You cannot be chained! Yes, this world will test you to your very core. Yes, magazine isles will scream lies of what beauty is. Yes, misogyny will continue to exist, and there will be those who will try to objectify you. Yes, religion will attempt to crush your talents and skills, especially if they see your wild-woman nature. Yes, you will be tempted to contain your beauty only in hair, clothes and makeup. Yes, you will feel your heart being ripped out of your chest as it is broken for the first time when you lose your first love. But – you are still wild warrior woman! You were wild warrior woman before these things existed, therefore these things cannot change what you already are! You are undefinable. So as I finished my sandwich, and stood to leave, I felt the eyes of those around me glance at my belly – at you. Already you are doing it! Your presence is already causing others to pause in the madness of their day. Already you are reminding others of their true beauty and the miracle of being alive. As I walk out of Whole Foods and carry you these next 7 weeks, and as your body completes the finishing touches of the rise and fall of legs, arms, toes, fingers, nose and ears. As you finish becoming before you enter our world, I realize that every person I come in contact with is exactly what I have described you to be. We are all undefinable. We are all already beautiful. We are in the presence of sacredness all the time when we are surrounded with other human beings. Yeah, we all have the same sorts of body parts – arms, legs, heads, eyes, ears, mouths, etc. But we are all completely undefinable in that there has and never will be anyone like you, like me. Ever. Ever! So why do we hurt each other? Why are there things like misogyny? Why is there pornagraphy? Why do we slaughter each other as if we’re replaceable? Why do we use religion to cage the sacred, beautiful, warrior-like beings we are? Why do we let hate morph us into non-human creatures who will kill with our words, if not with our hands. When will it stop? Perhaps when we believe that we are as sacred as we see our children to be. Perhaps then we will realize that we are all, individually, sacred miraculous creations, sent from beyond the farthest star. Perhaps when we see Love encapsulated within the flesh and blood walls of the population, a population that we are a part of. Perhaps when we realize that we all hold the keys to stopping the misogynistic, lust-ridden, wounded, hate-absorbed, blood-drenched society we call our normal world. So little one, thank you. Thank you for reminding me of my wildness, of my nature that cannot be caged. Thank you for opening my eyes to remember that all humanity is a beautiful, unique creation that should be cradled with utmost care. Thank you for your jabs and kicks – a preview of the way you’re going to rock this world! And may you know, that through all the highs and lows of what growing up will mean, with all the stereotypes screaming at you, that you are beautiful, mighty, strong and undefinable. Because you are the only human being EVER to be you! You are my warrior woman! We didn’t expect to get pregnant. My husband and I have been married for 12 years, and it hadn’t happened yet, so we just assumed it wouldn’t happen. Then suddenly, walla! I’m with child. 32 weeks along as I’m writing this. My first reaction when I found out was “oh shoot!” I know, not like the movies at all. The first 12 weeks were a blur as I was away on Sabbatical getting my health back after experiencing chronic burnout. We heard the heartbeat and “saw” her for the first time at 6 weeks. Pretty weird. No, I didn’t cry – I was more stunned than anything. 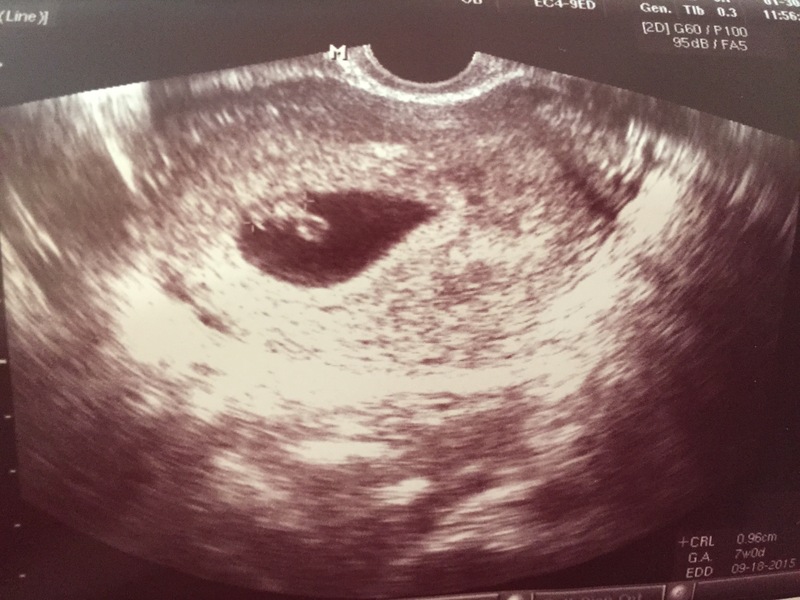 At 12 weeks, we got another heartbeat and “saw” her again – this time instead of looking like a wormish creature from some bad sci-fi movie, she actually looked like a tiny human being with an alien head. Wow. That was fast. Throughout the weeks and months that followed, we “watched” her grow and fight her way into existence, looking more and more human. 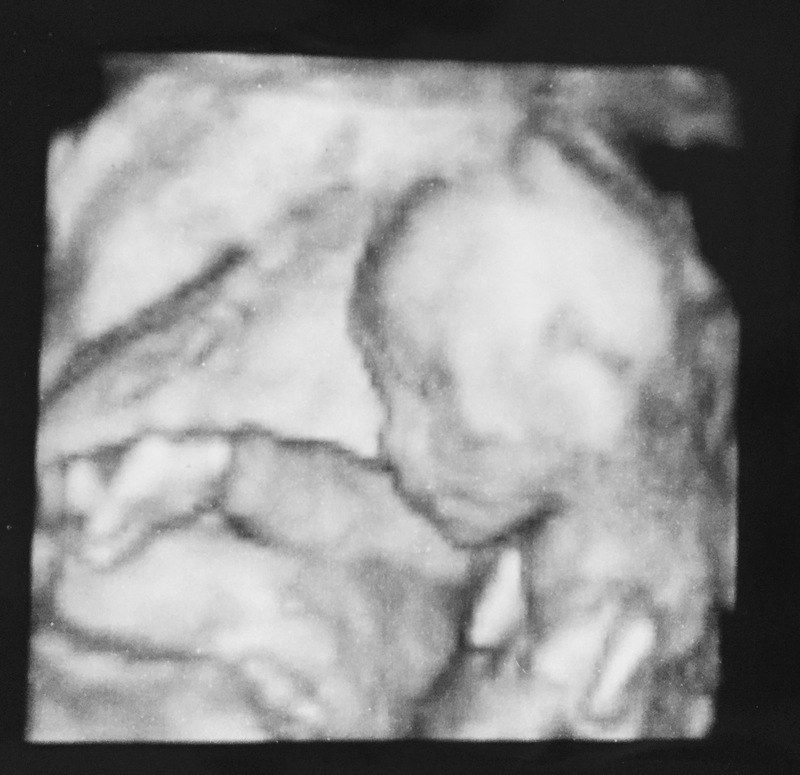 It’s been cool and weird to finally feel her movements, see her kicks and turning in my belly from the outside. 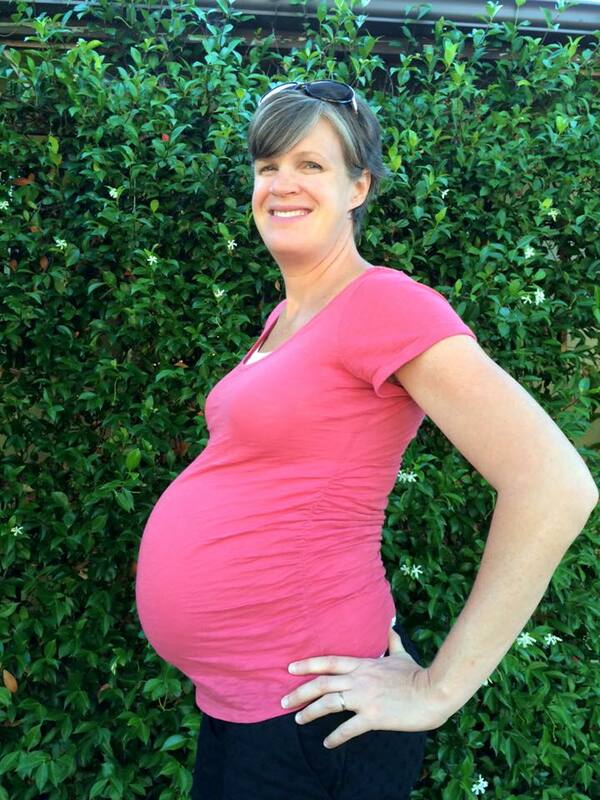 It’s been crazy to watch in helplessness as my abdomen balloons out to make room for this growing human being. And I’m doing nothing to make it happen – except eating, exercising and trying to sleep. 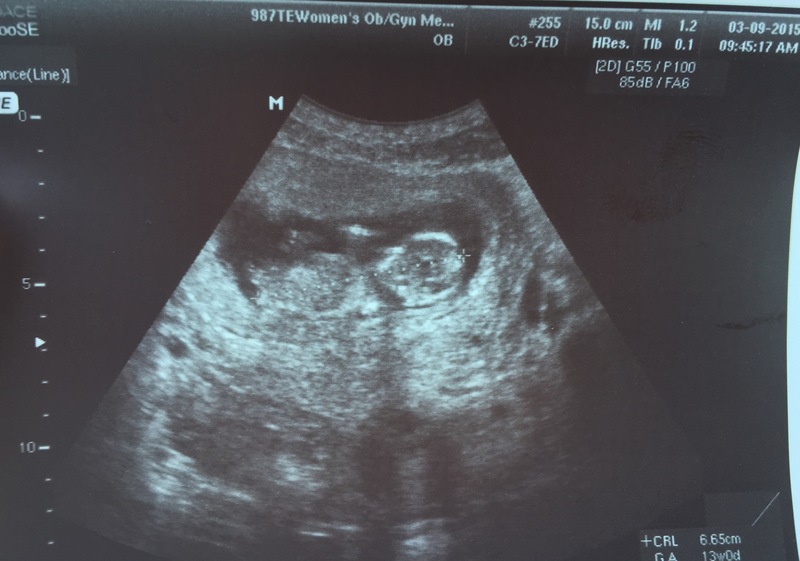 At 18 weeks – Quite the Fighter! Surrender. That has been the beautiful thing throughout this process. I’m not “in there” examining and micro-managing the process of her creation in my womb. I’m not leaving comments about how her toes need a different shape, or pressing a “like” button as I examine the process of growth. It’s just happening. In fact, we have no clue what she will look like. This is probably one of the longest things we as human beings living in western civilizations have to wait for. We’re so used to taking an early peek, putting something on credit card so we can have it now, or over-nighting a product so we don’t have to wait. But not with a human being. 9 months of waiting, wondering, fearing and hoping. I’m not controlling a thing, and it’s still happening. It’s pretty mind-blowing. So I’m at week 32. Haven’t “seen” her since week 18, but I know she’s there. It’s fun to watch my belly move after I eat, as she dances (hopefully) from the delicious sustenance I’m providing her. It’s cool to play music and feel a jab or kick, or perhaps it’s a twirl. I can only imagine what it would be like to be a human in the womb. Can you imagine? The first time hearing something – ever! Is it scary? Is fear even realized yet? And to start to see light coming through the pink lining of your world as your eyes open for the first time ever! What is that like to experience as a human fetus? Is there any wonder or joy at that stage? Is there curiosity? Do fetuses have bad days? I actually looked up if babies cry in the womb before they’re born. There’s substantial evidence that they do. But what are they crying about? Do they have dreams yet? Are they aware of danger, or surprises, or love? All these thoughts have led me to other ponderings. As they get used to their world, their routine, and their existence, do they imagine another world? Can they fathom this world that they’re about to enter? When birth happens, what the heck are they thinking? Does it feel like they’re dying? Are they disappointed to leave their comfort zone – forever? In the resurrection of being born, can they fathom that this world is even possible? As they take their first breath, does it hurt? 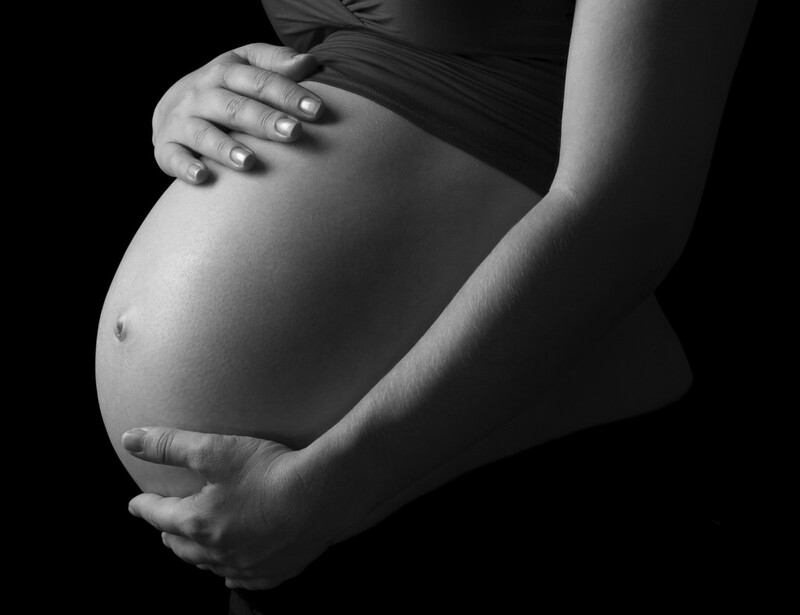 Is it scary to breath in air, and not amniotic fluid? How does it feel to suddenly be flailing around, with no womb to push against? Does it feel like they’re falling because of the expanse of space to move around in? What’s it like to actually eat for the first time through the mouth? Does it hurt to have the digestive system work for the first time with food-to-mouth? What’s it feel like to experience touch on your skin for the first time as a newborn human? And the brightness! Can you imagine how the eyes must feel seeing the outside world? So many thoughts and questions and wonderings! Which makes me think of the Divine and the correlation between pregnancy, birth, and life on this planet and beyond. Is this planet like our womb? Do we think we know everything about it? Do we feel scared when we experience something supernatural, like the fetus hearing noise for the first time but not knowing where it’s coming from? If we haven’t “heard” God’s voice, does it mean He doesn’t exist, or maybe our spiritual hearing hasn’t developed yet. Are there moments when it seems like we’re stuck and can’t breathe and maybe we’re ready for a birth into a new reality? But are we afraid to leave our comfort zones, be it work, religion, etc? Are there times that we feel out of control, when in reality perhaps we’re being born into a new experience that will bring us greater life, greater depth, greater love? Just because some are not conscious of the Divine, does that mean the Divine does not exist? Is my baby completely conscience of me? Or is she happily living her life, doing whatever she does in that confined space all day, and not even thinking about me? And yet, I’m in awe of her and her growth and movements. Is the Divine even more in awe of us than a mother is for her growing child? Is God mesmerized by our movements, our growth, our “becoming”? As I hold my belly and feel the kick of this tiny human inside me, does she feel my hand cradling her punches and kicks? Does she know she’s not alone? As we think about where we are in our life and existence today, stop for a minute. Have you sensed the Divine in some way? Have you heard a faint voice? Have you experienced some form of sustaining strength, comfort, wisdom or love that has fed your soul? Have you felt the labor pains of change encouraging you to take that next step, even if it’s scary, because it might just be a breath of life that will expand your lungs and your horizons? And if you haven’t sensed anything at all lately, could it be that you’re at some point in life where you are developing sight, sound and spiritual muscles that will soon open up worlds of wonder for you? I still have a lot more expanding (literally) to do before this tiny human emerges upon the earth. And then, as I’ve been told, the lesson of life will continue. Lessons of surrender will deepen. But ultimately, I find comfort knowing that the Divine carries me within this womb we call life, cradles me within the Almighty arms of ultimate Love, and sustains me whether I acknowledge the existence of a Higher power or not. May we continue to live in awe of this life, and may we find hope that there is a possibility of another world to be born into. I don’t even know what made me look. I’ve sat at the same table on-and-off for 10 years. 10 years of staff meetings, of conversations, of announcements. But today, it was as if these words whispered to my yearning soul. My eyes drifted to the table’s edge. Something went 0ff – an alarm of sorts. It was if time stopped. The sounds of the staff meeting suddenly faded into the background. It was as if I was transported into a space and time where reality became clear. It was as if I were in a sanctuary of awakening. “I WAS HERE.” Who wrote this phrase? Who took the time to etch it into the side of the table? Who was behind those words? Like a standard thrust into the territory of their time and space, there it still stood. Alone, bold, and courageous. Proclaiming to whomever would notice or not notice, that “I” was Here! A human cry from every heart to be seen, to be acknowledged, to be loved. I WAS HERE. Who was the face behind the “I”? What was their story, their struggle, their journey? Where were they now? Had they found the acknowledgement they had hungered for? Even as they etched that 3-word phrase, they had already bypassed that moment. Why did they use past tense? Why not proclaim in present tense words of “I AM HERE” ? 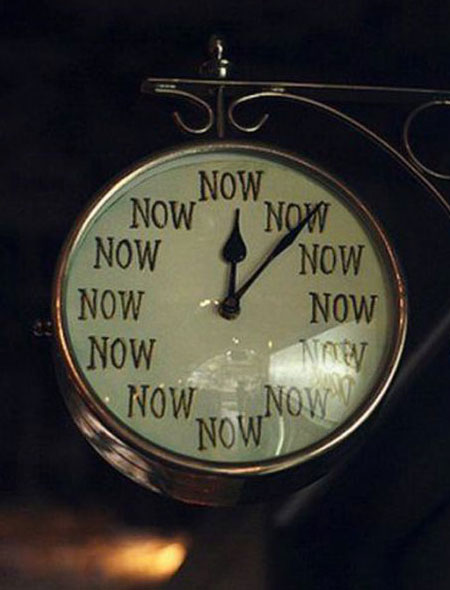 Time: so present. Why aren’t we? In the madness of bills to pay, mouths to feed, calendars to fill, obligations to meet, responsibilities to carry out, are we aware of NOW? I AM HERE. YOU ARE HERE. Like a mark on a map at the mall, or an appointment written down on a calendar space, or a carved phrase etched into wood, we are HERE – right here. Why do we live life as if we’re on some moving escalator, helpless to the turns, events, choices…always yearning for the weekend, or the next vacation, or the end of the day. Waiting and counting down the NOW moments til the next TV show, the next meal, the next appointment, our next Facebook post, the next move. Surrounded in the midst of creating the photo album of our life, we are so many times already in past tense mode, planning our next agenda item, our next encounter, our next moment worth savoring. Not realizing that perhaps we are in the middle of making a memory that we’ll yearn for later on. Ironically, in the moments we rush past, we make ourselves extinct. For if we are constantly ever-living in the future or the past, and we are never in the now, then we are really not alive. Because life exists right now. The past can’t be changed. The future hasn’t happened yet. Life only happens Right NOW! I still wonder who carved that phrase in that table. I hope they’re living a beautiful life where they are fully aware of the miracle of this moment. As the staff meeting came to an end, with the rest of that day waiting with bated breath to be realized, I walked out with a warmer heart, a revived sense of being, and a returned pulse to the wonders surrounding me. I wish I could meet this person who left their mark on that table, and thank them for the prophetic reminder. That their words have been whispering to me, “don’t settle; open your eyes; you only have so much time in this moment!” I’ve been reminded that happiness is actually present in THIS moment, as close and as subtle as faded words etched in a table. The choice is ours whether or not to slow down and be present to that miracle. Because, regardless of whether or not we’re aware of it, WE ARE HERE. “It’s all gonna burn anyways..” “Well, at least you’re alive…” It’s interesting to hear what people say or what we even say to ourselves when going through a crisis. Many times we may be trying to make ourselves or others feel better, but does it really help? Some of these things can be helpful. But is it possible that some things are not? So if you’ve ever wondered “what do I say in this situation?” Keep reading! (Someone the other day just came up and gave me a hug. That’s it. They said something else, like “I can’t imagine what you’re going through, but I’m here…” That was enough. That was powerful and acknowledged exactly what I needed at the time. It didn’t ask for any details to be repeated, nor did it try to “fix” my experience with spiritual flowery words. It was presence in my day. It was simple, yet so powerful). Monday night, it was my job to pick up the Olive Garden takeout for our impromptu Thanksgiving meal at the nursing home my dad is staying at in Gridley. Olive Garden, not your traditional Thanksgiving food, but my dad requested that, and with permission from the staff at his new location, we had a date in the nursing home’s dining room. The place is nice. Quiet, small, and no urine smell. It’s farther out from the rest of the family, but it was the closest place due to the evacuations from the Camp Fire. My dad’s previous location had been in the living room of our house on Boquest Blvd in Paradise. The house that is now ashes. So while my mom, my brother and my niece all met with their insurance people to talk about coverage, I got everyone’s order and picked up our meals at the Chico Olive Garden before making my way to Gridley. My other brother and I had to suddenly make one more stop for diapers after my 3 year old had a little accident. So I popped on over to Walmart in Chico, to grab some diapers. After parking the car, I could see the meals being cooked and hear the distant strum of a guitar being played at the Paradise Fire Refugee tent city that resides in the Walmart parking lot. With tents rippling in the cool night breeze, I made my way inside to grab the diapers. It was weird in there. Christmas music playing over the speakers, as if nothing was different from a normal week of Thanksgiving. Yet we all looked at each other. You could see the tired eyes. You could feel the weight of worry as you looked at the arms and legs of people. One couple walked around with their dog in their arms, the look of shock still in their eyes. And the cruel irony of the Christmas song “It’s the Most Wonderful Time of the Year” was being played overhead. This is the new reality right now in this land of displacement. Even though the calendar says its Thanksgiving, and Christmas is around the corner, its like we’re all watching from a glass room while others experience the festivities and normalcy. Its as if there is a bubble of another reality. And that bubble is called displacement. That bubble is called survival. That bubble is called tragedy. With a heavy heart from the reality of the pain I had seen walking the aisles of Walmart, and with that Christmas song now stuck in my head, I returned to the car. We made our way out to Gridley, in the hopes of bringing some semblance of family and Thanksgiving cheer to my ailing father. After the 30 minute drive, my brother and I set up the take out food containers on one of the small circular tables in the nursing home dining hall. While my own babies cried due to their exhaustion, we set up chairs in a semi circle so that my dad would also be in the circle when he would come wheeled in. Slowly my family trickled in, exhausted after hours of deliberations with an insurance agent (that will be later post). My dad was wheeled in, and we said our blessing for the food, and began to partake of our feast. Due to the long car ride, the breadsticks got damp from the condensation inside the bag, and the pasta was luke warm, but we were together. We were in our family huddle. One of the traditions in my family, like most, is to say what we’re thankful for on Thanksgiving. One brother shared that he’s grateful for memories of all the places that we lost. Many of us shared how grateful we were for the fact that we are all alive. By the way, there’s something amazing that happens when you hug someone that you thought came that close to death. It’s like you feel every part of their soul in that embrace. It’s like you see every facet of every year you ever lived with them in one moment. With the chaos of kids crying and salad getting kicked off the table by my 5 month old, it didn’t really matter cuz we were all together. It was messy. It was lukewarm. It was bittersweet. But it was real. In some ways it felt like we were going thru the motions. And in some ways it felt like a beautiful spiritual moment of raw togetherness; a sort of “screw you” to the tragedy and grief of all that has happened. After a few more extended family arrived, we all were present in this new space, this small nursing home dining room – our substitute for home. After asking if we had any desert (which I had totally forgot about getting), my dad made an announcement and said how thankful he was for each of us, before being wheeled back into his room. We remained there and shared and listened to the stories of escape from the fire. We winced as we heard what all the insurance agent had said to my mother before cutting her a stingy check that afternoon. We felt the same helpless pain of sentimental fragments that are forever gone from each of our stories. We all still felt the dumbfounded twilight zone reality of no Paradise. And then, we all began to trickle back to the different places of refuge of each of our displacement. Chico. Oroville. Bangor. Gridley. Palermo. This is just one of the thousands of stories of displaced Thanksgivings this year. But I will say this: There was something special that happened that night. After I left that nursing home with my babies, that stale dining room felt a little warmer, had a kind of glow, because we had all been there together, and love had been present. We had created a tiny sense of home in those few minutes as we held onto each other. I have a feeling we’ll look back on that memory with a deep sense of awe one day. But for now, it was a displaced Thanksgiving.